Pam, I've been thinking about this cowl neck top all day. I've got a pattern all traced and ready to make it. I was thinking about how to make this and I was making it way more complicated than your instructions. Thank you for this timely tutorial! Excellent tutorial! Your version is lovely! Good tutorial. :) It's amazing how different the effect is on the velour vs. the rayon fabric. I do have a question about deciding the offset to create the spiral. 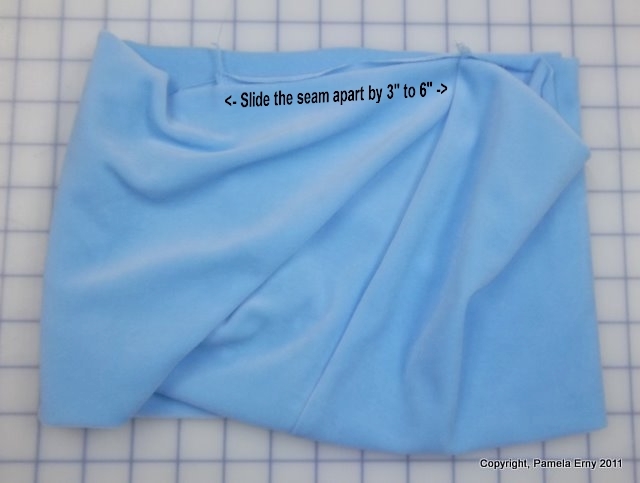 If the fabric is lightweight should the offset be more than for a heavier weight such as the velour? That is such a simple thing to do for such beautiful results! I've just had a sewing setback of monumental proportions (ok So i'm dramatic) but I think I might soothe my wounded soul by making one of these. How could I go wrong with this? Thank you Pam! Great technique,Pam. Thanks so much for your tutorial. Love it! Thank you, Pam. gotta make this one soon. Thanks for sharing. This is like why didn't i think of this earlier type of sewing experiment. Will try this out ASAP! in fact i use similar tactics to get twisted bubble hem ! but never thought in those lines for a cowl! Genius! Pure Genius! Nice work, Pam! Another great tutorial. Thank you for always sharing these techniques with all of us. I have bookmarked this for future reference. A very attractive cowl neck collar! I love this treatment -- thanks for sharing your method so clearly! Love the ruched cowl too. Both tunics are so pretty! 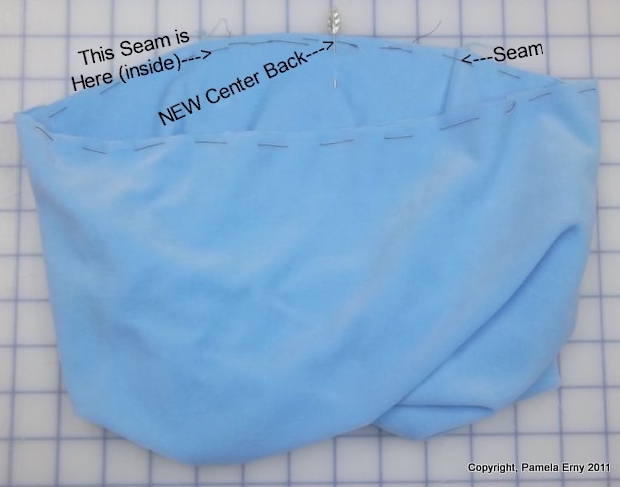 This is just what I needed to get my sewing mojo back! Thank you for the tutorial...I pinned it on Pinterest. That is so elegant Pam, I love it. Thank you! I have a top cut out but not finished in the Cave O' Crafts that I think this will be a perfect neckline treatment; I was wanting to do something a little different (killer red fabric, going to be great for the holidays) and this is just the ticket! Thanks for sharing. I want to be you when I grow up! Thanks, Pam, for this great tutorial. Drapey cowls are everywhere, and I want to make a top (or dress) with one. I love the spiral you've included with this one. Vow...its really great..anyway i like it very much. Thanks for sharing with all. Thanks for the tutorial...i like it.. Thanks for so generously sharing this technique. It is a very attractive cowl. I love your tunics! And the fabric you choose is wonderful! I love shirts with the cowl neck lines. It's great to know how to do them now. This is wonderful! I've made a top with a very similar collar recently and this thorough tutorial explains the procedure perfectly! The only difference with my collar was that mine was not as high and I used two separate parts (inner and outer collar). Congratulations on this excellent article! Thanks, Pam. I have Vogue 8670 and will try your three cowl variations. It's already cold in Chicago and I will add several of these cowl tops to my winter wardrobe. 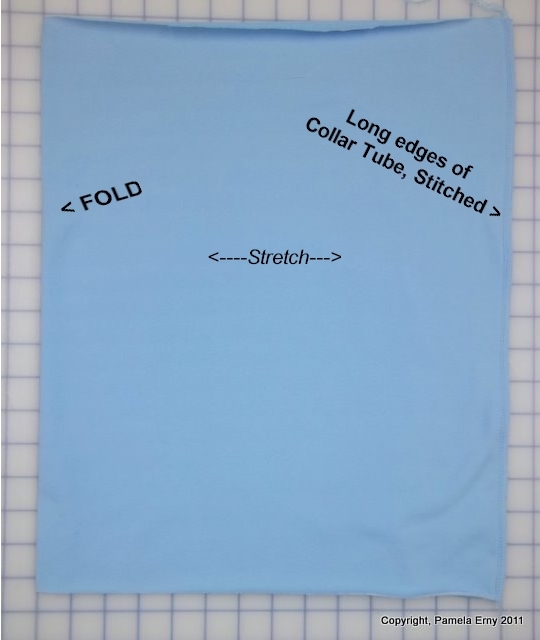 I tried this spiral collar for the first time today, & it's AWESOME!! I used New Look 6735, didn't alter the neckline scoop because of the stretchyness & drape of my knit. It went on perfectly, & folds into natural drapes virtually on it's own. Thank you so very much for passing on your expertise, I much appreciate all the work you do!! 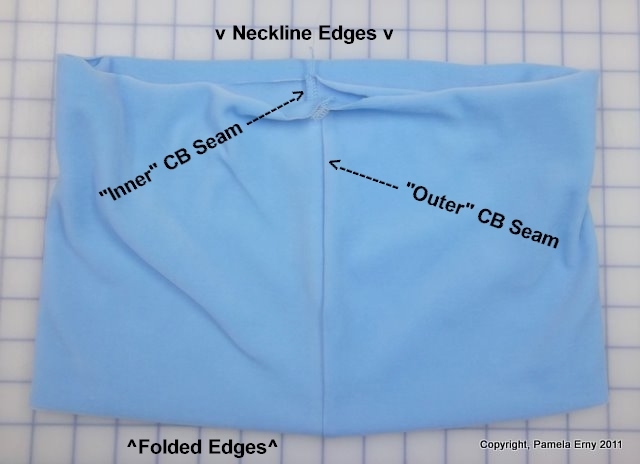 My only revision to your instructions was to twin needle the neckline/collar seam from the right side to ensure the seam lays perfectly flat against my neck. I tried this today with a shirt for my daughter and it turned out great! Thank you so much for the tutorial!! Next I will try one for myself.